As background, I’m the IT guy at the InfoAge Museum in Wall Township, New Jersey USA. 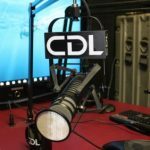 I’m helping out the team from the Computer Deconstruction Lab build a podcast studio. I’ll toss out the social media links in case anyone is interested in taking a look, feel free to ask questions about what we are trying to do.